2019 #Morethanfootball Action Weeks kick off! Today, on the 19th of March, we celebrate the kick off of the 2019 #Morethanfootball Action Weeks which will run through until the 9th of April! What are the #Morethanfootball Action Weeks? The global campaign is a great occasion for the football community to showcase the impact of their CSR activities and programmes on their community. 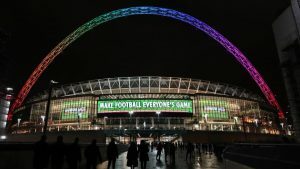 The campaign which first launched in 2017, is supported by the UEFA Foundation for Children, the ECA and the European Football for Development Network and provides all socially engaged European football organisations with a platform to inform and engage with fans and stakeholders on their activities, and raise awareness of the transformative role European football clubs can play in changing peoples’ lives for the better. The participating organisations will have the opportunity to make content available, including videos and images that cover Community and Social Responsibility initiatives and programmes. Through the hashtag #Morethanfootball, all organisations will be able to raise awareness for their CSR programmes and activities while being part of the European campaign. We welcome the entire European Football Family to join us in the 2019 #Morethanfootball Action Weeks and contribute to a week that is entirely devoted to showcasing the positive impact of CSR in football. 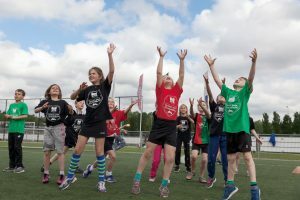 All football clubs and their community trusts, leagues and FA’s in Europe are welcome to follow the 2019 #Morethanfootball focus days and showcase their best CSR actions. To open this 2019 #Morethanfootball Action Weeks campaign, we are proud to release the official #Morethanfootball video. Throughout the Action Weeks, the video will be used to raise awareness of the powerful role that football plays on and off the field. The 2019 #Morethanfootball video can be found below. In addition, a new feature of this year’s campaign is the #Passiton video challenge. This challenge encourages everyone who loves football and is committed to using the power of football as a tool for social development, to tell their story on why football is #Morethanfootball, nominate their friends or colleagues to do the same, and share the video on their digital media channels. Organisations are encouraged to cooperate with their players and coaches to share with their followers and increase engagement and awareness. This year will also see the first #Morethanfootball Awards ceremony at the 13th EFDN Conference at Camp Nou, Barcelona in November. There will be specific awards for the best campaigns and initiatives run during the #Morethanfoodball Action Weeks, which will be assessed not only on creativity and ingenuity but also on the quality of the content and the level of promotion and engagement. In order to be eligible for the awards, organisations should register details of their events and activities by email to ActionWeek@morethanfootball.eu and they will then receive an Award application form.